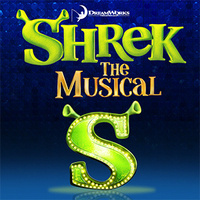 Shrek the Musical takes is a journey with an unlikely hero who finds himself on a quest to regain his home from a cavalcade of fairy tale misfits. Along for the ride is a wisecracking Donkey and a feisty princess. This funny and heartwarming fairy tale teaches us that curses are meant to be reversed, monsters can get the girl and princesses are beautiful in all shapes and sizes. family friendly!